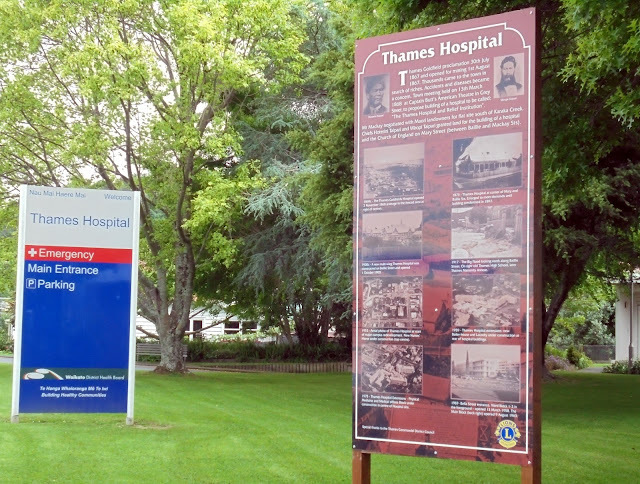 The countdown begins for the 150th Commemorations of Thames Hospital. Opened 149 years ago on the 2nd November 1868. To kick things off, the Thames Lions Club have donated a heritage sign, part of their yellow historic signs dotted around Thames. To keep up-to-date with news as it happens on the commemoration and reunion activities checkout the Hospital 150 facebook page. If you have any photographs please post them. We are still calling for short stories, and will telling you more about an exciting development (fingers crossed) in the next few weeks. ABOVE: Thames Hospital 'Lions Club Sign' at Mackay Street entrance. 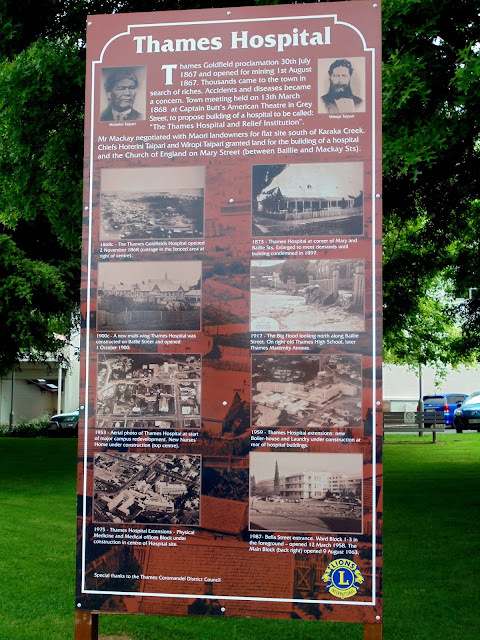 BELOW: Close-up of the sign that highlights the development of the site and hospital. 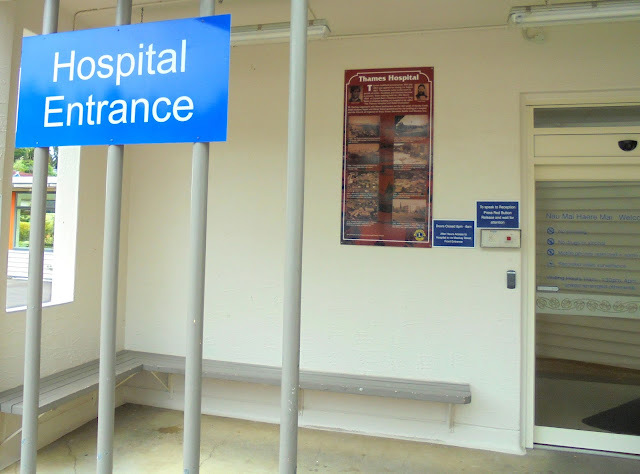 ABOVE: A smaller sign hangs in the verandah area, at the eastern entrance to Thames Hospital, south of the Sperry Lane cafe. Special thanks to Steve at KMG; Bruce and team at Thames Hospital for getting the signs from design to site!